The Pride of Baltimore II was in Annapolis Harbor for the weekend. It was good seeing her again, to walk her deck. It’s been years since I was on the old gal. This is the second Pride. The first foundered in a storm with the lose of her captain and three crewmen in 1986. Pride II was launched in 1988. Both ships are replicas of the 19th century Baltimore Clippers and have served as ambassadors for their city around the world. 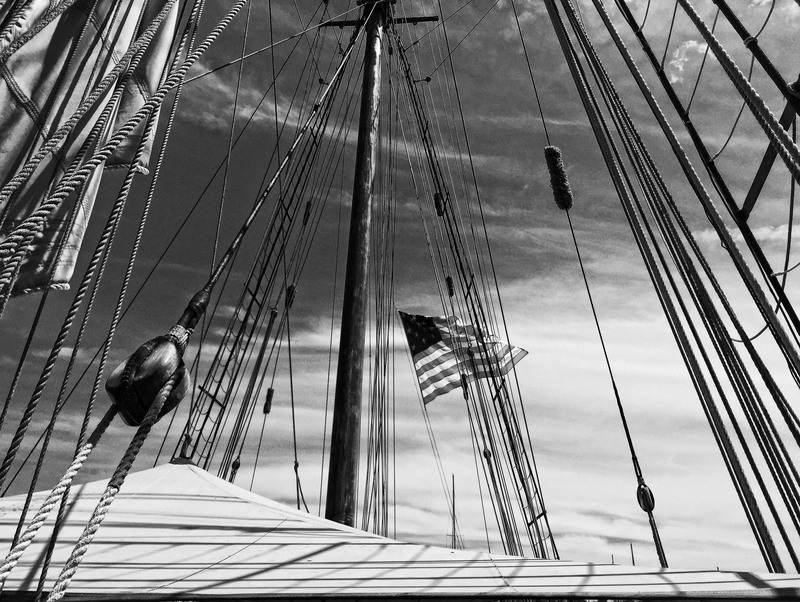 Like the first Pride, Pride II is a topsail schooner. During their heyday, Clippers were known for their speed and the commercial advantage that gave them. WE were still living in Annapolis when the first Pride was being built on a wharf in the Inner Harbor of Baltimore. It was fun stopping by occasionally and watching as she took shape.